The human brain is a fascinating and very complex organ that is only slowly giving up its secrets. It has taken us thousands of years to reach our current state of knowledge about the brain. We still don't understand everything about its structure and function. Many researchers are investigating the brain's activities, however, since it's such a vital part of our lives. In the past, there was a tendency to name newly discovered body structures after their discoverer. This article describes three brain regions and also includes some facts about the physician-scientists who are forever (as far as we know) linked to them. Broca's area was named after Paul Broca, a French doctor of the nineteenth century. Carl Wernicke was a German physician. He gave his name to Wernicke's area and lived until the start of the twentieth century. The circle of Willis was named after Thomas Willis, an English doctor from the seventeenth century. The cerebrum is the largest and most obvious part of the brain. It consists of two halves, which are known as cerebral hemispheres. 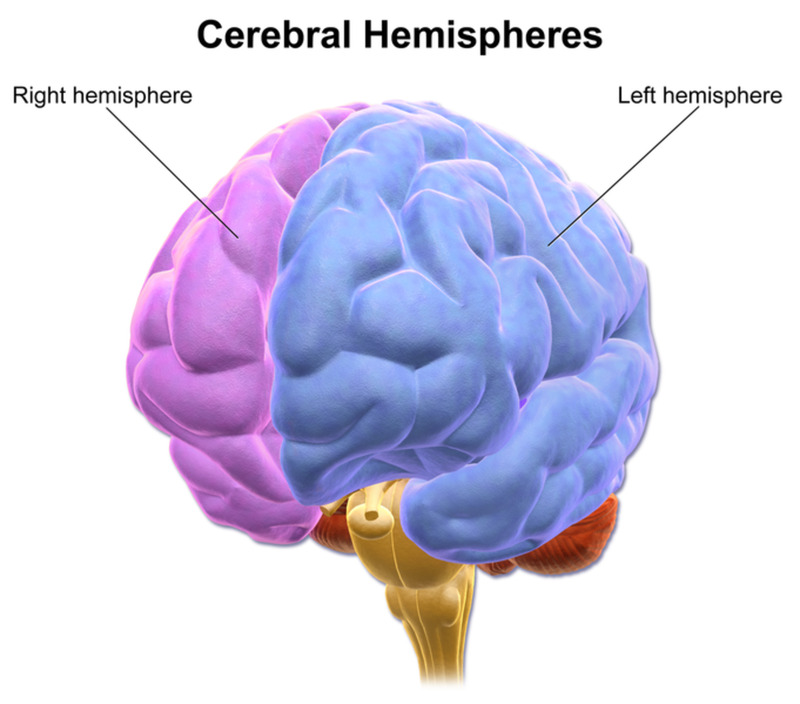 The hemispheres are joined together by a band of tissue called the corpus callosum. 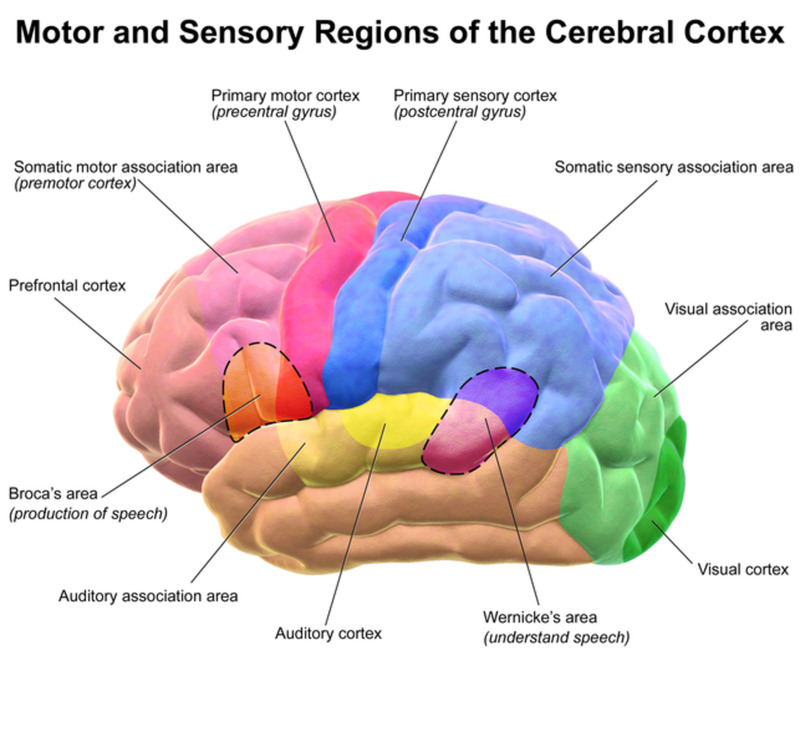 Each hemisphere consists of four visible lobes known as the frontal, parietal, temporal, and occipital lobes, as shown in the illustration at the start of this article. Broca's area is a patch of tissue located in one of the two frontal lobes. It's usually found in the left hemisphere, but it's sometimes located in the right one. 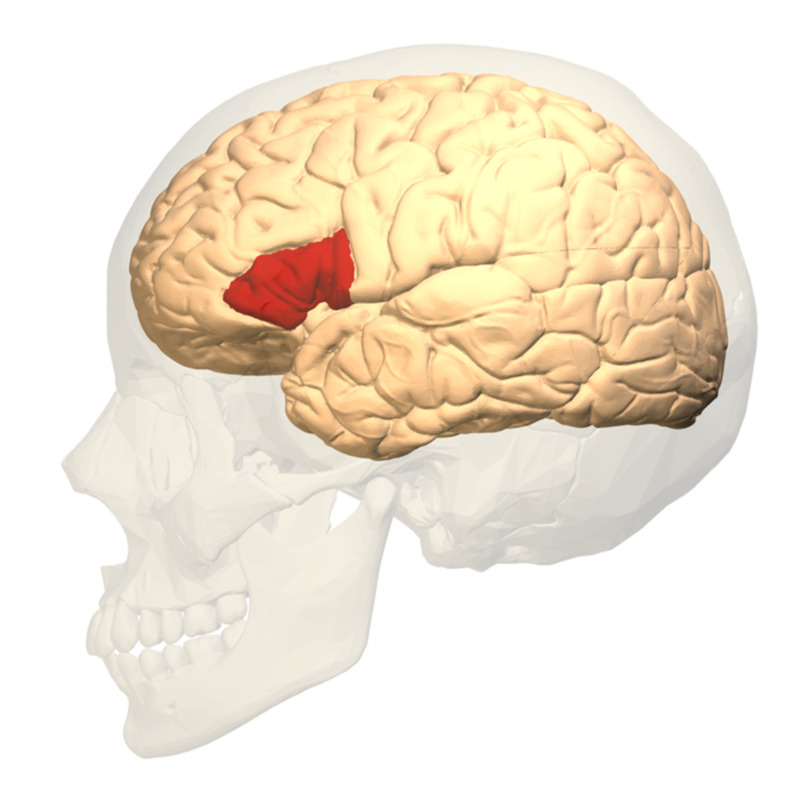 Broca's area plays an important role in the creation of speech. People who have damage in this area have great difficulty in speaking, even when there is nothing wrong with the rest of their brain or with the body's mechanical components for forming spoken words. Patients may be able to speak a few to a significant number of words but can generally create only short sentences. They often need to pause as they speak. The reasoning and thinking parts of their brain are usually unaffected, which can make the situation very frustrating for them. The disorder is commonly known as Broca's aphasia. It's also referred to as expressive or non-fluent aphasia. Aphasia is an impairment in the ability to produce or understand speech or written material. The disorder ranges from a mild condition to a severe one. Modern treatment techniques (and in some cases the body's healing mechanisms after an injury) may help aphasia. The teenager in the video below is recovering from a stroke and Broca's aphasia. 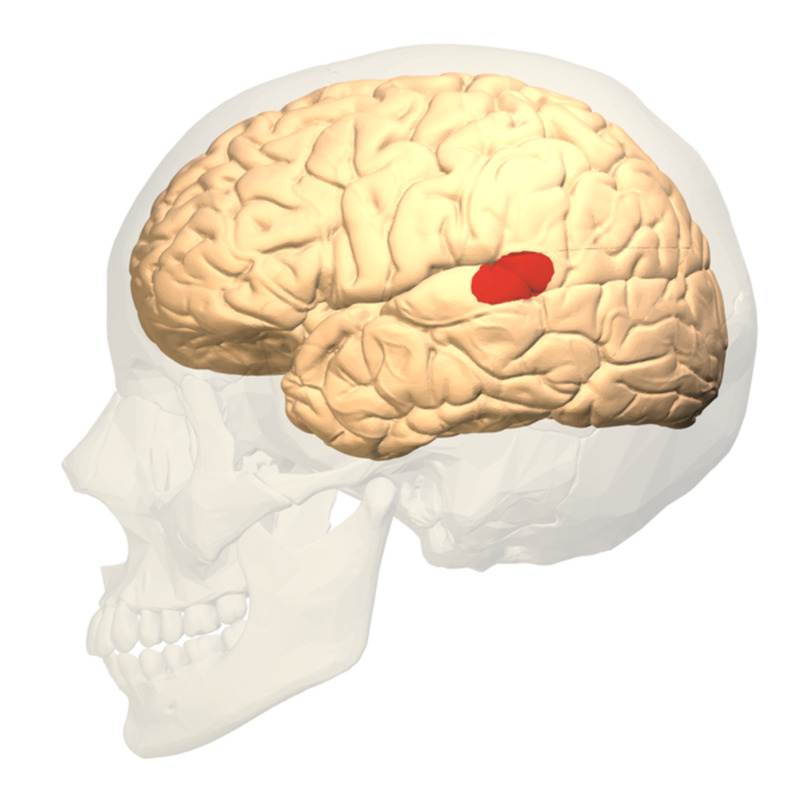 Broca's area was discovered by a French neurosurgeon named Paul Broca (1824-1880). In 1861, Broca examined the brain of a man who had recently died. Although the man had been able to produce sounds, the only recognizable word that he had been able to say was "tan". Broca discovered a damaged area in the man's left frontal lobe. He subsequently found damage in the same brain area in other people with similar speech problems. Broca concluded that he had found the part of the brain that was responsible for speech. Two of the brains that Broca examined were preserved, including the brain of his first patient. Both patients had been severely limited in their speech. In 2007, scientists performed an MRI scan of the preserved brains. They found that although in each case Broca's area was damaged, the injury extended further into the brain. The extent of an injury as well as its exact location likely contribute to the problems experienced by someone with Broca's aphasia. Broca's area isn't directly responsible for speech. It sends nerve signals to the motor cortex, which stimulates the muscles in the mouth and face to contract in order to produce words. About ten years after Broca's discovery, a scientist named Carl Wernicke discovered another area that is often located on the left side of the brain and is related to speech. Wernicke's area is located mostly in the temporal lobe and partially in the parietal lobe. It's involved in understanding the meaning of spoken words. People with damage to Wernicke's area can often speak fluently, but what they say makes no sense in relation to the situation. They may sometimes use made-up words as well as real ones and may not show any awareness that they've done this. In addition, they sometimes have a tendency to speak excessively. The disorder is known as Wernicke's aphasia. It's also referred to as receptive or fluent aphasia. Patients may have trouble with understanding written language as well as speech. 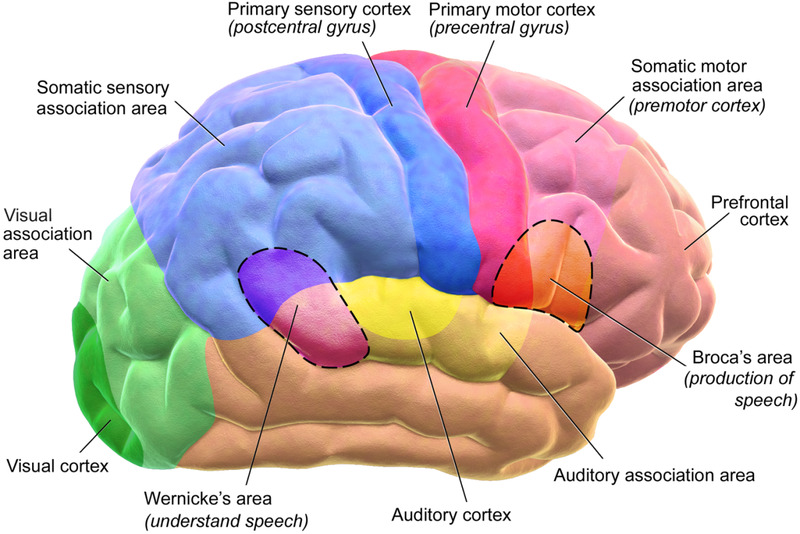 Broca's area and Wernicke's area are connected by a bundle of nerve fibres, forming what is known as a language loop. Both areas are important in producing intelligible speech. This language loop is found in the left hemisphere in about 90% of right-handed persons and 70% of left-handed persons, language being one of the functions that is performed asymmetrically in the brain. Some researchers are re-examining the functions of Broca's and Wernicke's areas. Though they are language-related areas, their functions may not be exactly what their discoverers believed. Even some modern assumptions about their jobs may be incorrect. The brain is complex and a difficult organ to study. Carl Wernicke was a German doctor who was born in 1848. He was killed in an accident in 1905, reportedly while riding his bike. Wernicke is often classified as a neuropsychiatrist. He believed that patients with psychiatric problems had problems in a specific region or pathway in their brain rather than in the brain as a whole. Wernicke discovered the region now named in his honour and found that damage in the area produced aphasia. He was only 26 years old when he published the results of his discovery. He referred to the disorder resulting from the damage as sensory aphasia. The name was later changed to honour his work. Aphasia is often caused by strokes, especially in older people. Strokes occur in younger people as well, however. Aphasia may also develop due to tumours, head trauma, and infections. The circle of Willis is a roughly circular network of arteries located on the undersurface of the brain. Although it belongs to the circulatory system instead of the nervous system, it's often referred to as part of the brain. The arteries play a role in the circulation of blood through the brain. 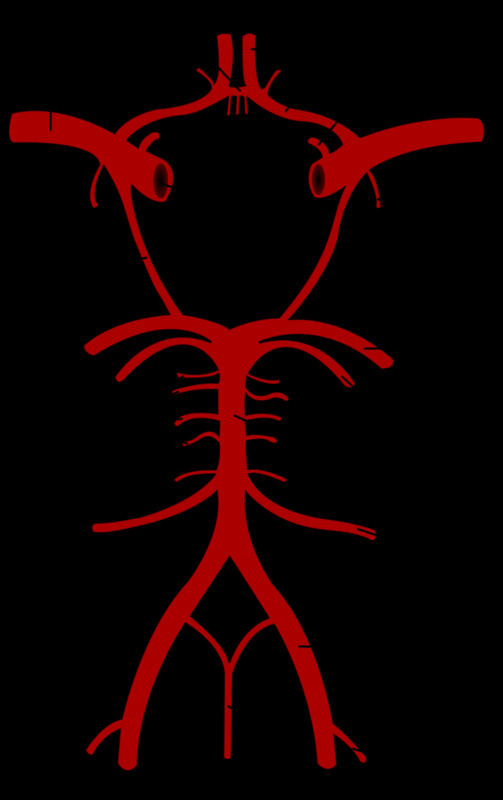 The circle of Willis is an example of a circulatory anastomosis—a structure in which there is a cross-connection between blood vessels that we would expect to stay separate, such as two different arteries. An anastomosis can provide a backup route for blood if the main passageway is blocked. Interestingly, many people have an atypical circle of Willis. Nevertheless, it's thought that the alternate blood route that it provides can be very useful in certain disorders. The arteries that make up the circle of Willis are often divided into an anterior group (located at the front of the brain) and a posterior group (located at the back of the brain), which makes them easier to follow. All of the arteries named below are shown in the above diagram. In order to make the diagram easier to understand, the arteries are cut off at the ends where they disappear from view, change direction, or are no longer considered to be part of the circle of Willis. The blood vessels that make up the circulatory system are actually continuous. They branch and merge and change in diameter and direction, but they never simply end. 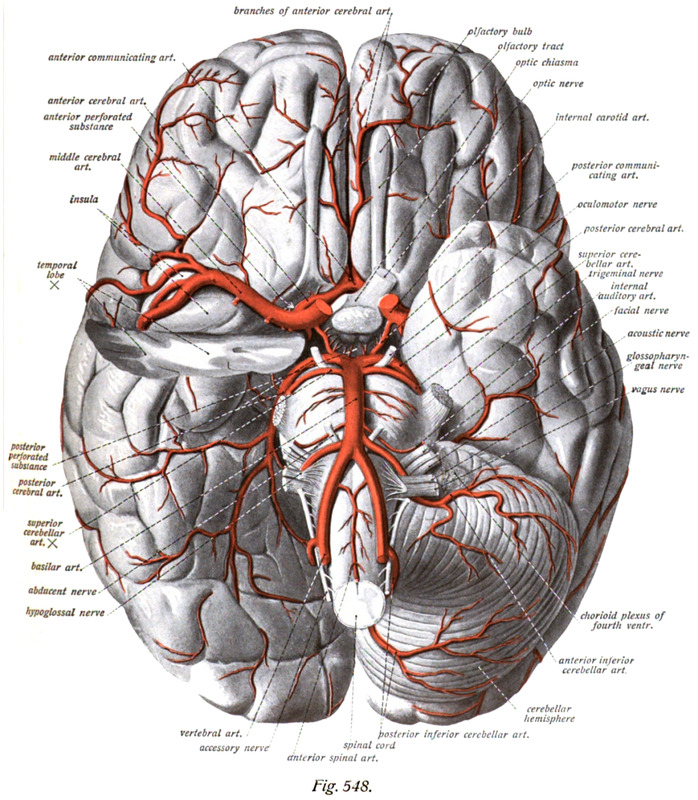 The anterior group of arteries in the circle of Willis consists of the following blood vessels. The posterior group consists of these vessels. Thomas Willis was an English physician who was born in 1621 and died in 1675. He is often said to be the father of neurology. Neurology is the study of the nervous system. Since the blood vessels at the base of the brain are visible to the unaided eye, other people noticed the circle of arteries before Willis did. 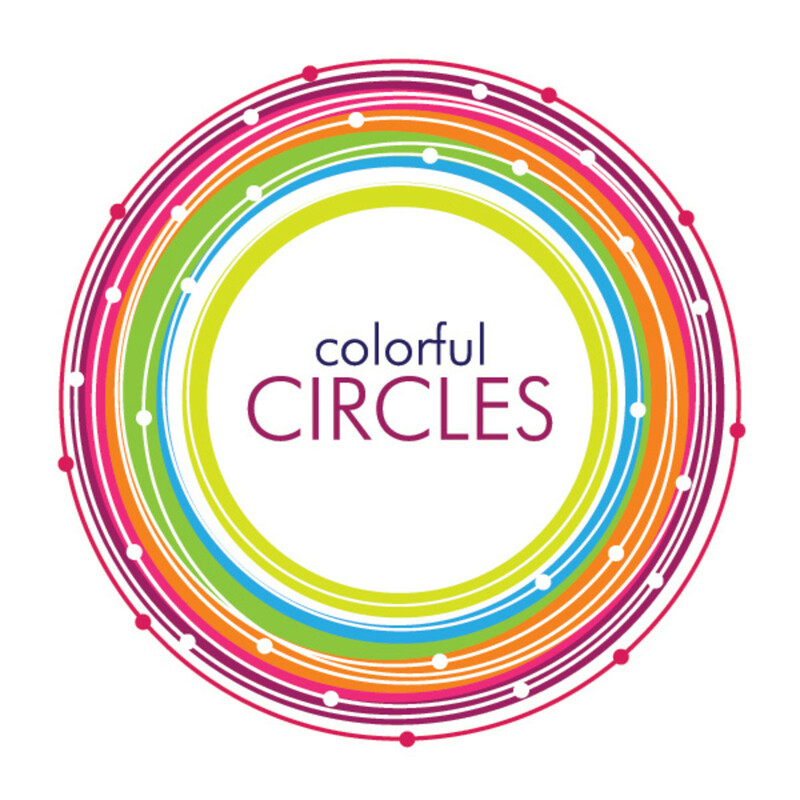 Willis is credited with the circle's discovery, however, due to his meticulous and detailed observations that were far superior to previous attempts to describe the region. Willis's discoveries were published along with other brain observations in 1664 in a book entitled Cerebri Anatome. The title is a Latin term meaning Anatomy of the Brain. At the time when Willis was alive, scientists created their publications in Latin. Christopher Wren created the illustrations for Cerebri Anatome. He is famous today for his design of St. Paul's Cathedral in London. The brain still holds many mysteries. In July 2016, scientists working on the Human Connectome Project announced that they had discovered 97 new regions of the brain. The project is run by the National Institutes of Health in the United States. Its goal is to map the neural pathways in the brain. The plan is very ambitious but has enormous implications in the realm of health and disease. In the future, scientists may well discover new information about the function of Broca's and Wernicke's areas and the circle of Willis. This will not only be interesting biologically but may also be useful in helping people recover from brain damage. Discovering how the brain works is fascinating and potentially very important. Thank you for the comment. I've been doing some searching and discovered that some researchers do say that Broca's and perhaps Wernicke's area may be involved in some cases of autism. At this stage, it seems to be only a possibility, but the research is interesting. I thoroughly enjoyed this article. My question has to do with nonverbal, autistic children. Has there been research done to see if there is damage to any of these parts of the brain in autistic children? If so, is there any kind of stimulation that can be done in order for the child to speak? Thanks, Anita. There are lots of interesting things to discover here. Very interesting and informative. I love reading articles on hubpages as I seem to be learning something new all the time. Thank you very much for the kind comment, Nadine. The cause of consciousness fascinates me, especially since it's not well understood. Wow what an informative article on such a mysterious subject.We know still so little about the human brain, not to mention the topic of consciousness. 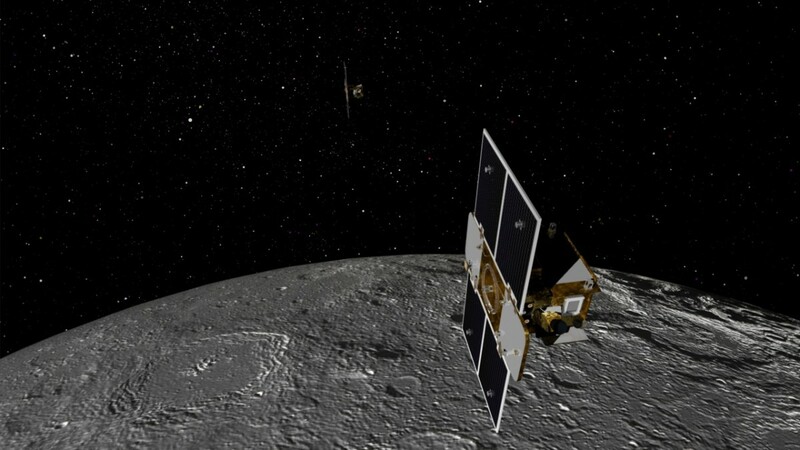 Love the images and video. Well done. Thank you for the comment, Deb. I appreciate it very much. I agree with you - it's going to take time to understand the brain in more detail. It's a complicated and amazing organ. It will still take time to learn the functions of the complicated makeup of the brain, for it controls so much of our bodily functions. This was a wonderful and fascinating read. Thanks, Dianna. I appreciate your visit and comment, as I always do. Hi, Devika. Thank you for the kind comment. I enjoyed your post on the brain. I always learn so much from your sharing. Hi a fascinating subject and you presented in detail. A must read hub indeed. Thank you very much, MsDora. I appreciate your visit a great deal. Alicia, thanks for this very informative lesson. I will save it as a reference article to read again. Thank you for the lovely comment, Faith. I appreciate it very much! The human brain is definitely awesome. It has many very impressive and amazing abilities. I hope you're having a good weekend and that the week ahead is enjoyable for you. Fascinating and well-written article on the amazing brain, Linda! Nothing man can ever come up with to come close to imitating the brain, even the most advanced computer in the world, nothing compares to the brain. This would fit nicely in my series, Our Amazing Bodies ... and I know I couldn't have covered the brain as well as you have here, no doubt! It is certainly amazing they are still discovering new areas of the brain. As always, I learned a lot once again. I hope you are enjoying a peaceful weekend. Thank you, Manatita. I appreciate your kind comment and the interesting information about Bruce Lee. I like his idea! An inspirational piece with very well-researched and sound knowledge. I was reading a little about Bruce Lee today. He feels that nothing is perfect, that there is and will always be scope for improvement. In this Light, I have no doubt that man will go further and yet further is this interesting study of the anatomy and indeed himself. Excellent Alicia. Thank you very much, Larry. I appreciate your comment. Really interesting science history. Wonderfully informative. Hi, Bill. I appreciate your visit and comment, as always. I think that science is a very interesting topic. Thank you very much for the interesting comment, Buildreps. I remember reading about the research that you describe. It certainly is fascinating! The activity of the brain is so intriguing. Great science lesson, as always. I love this stuff, so thank you! Interesting research and your article is fascinating. There is still so much to discover about the brain. A few years ago I watched a scientific series about the brain (don't know the name anymore; my brain is letting me down..), and what specifically fascinated me was a research where they attached sensors on the "subject's" head, and asked this person all kinds of questions (and tests etc). 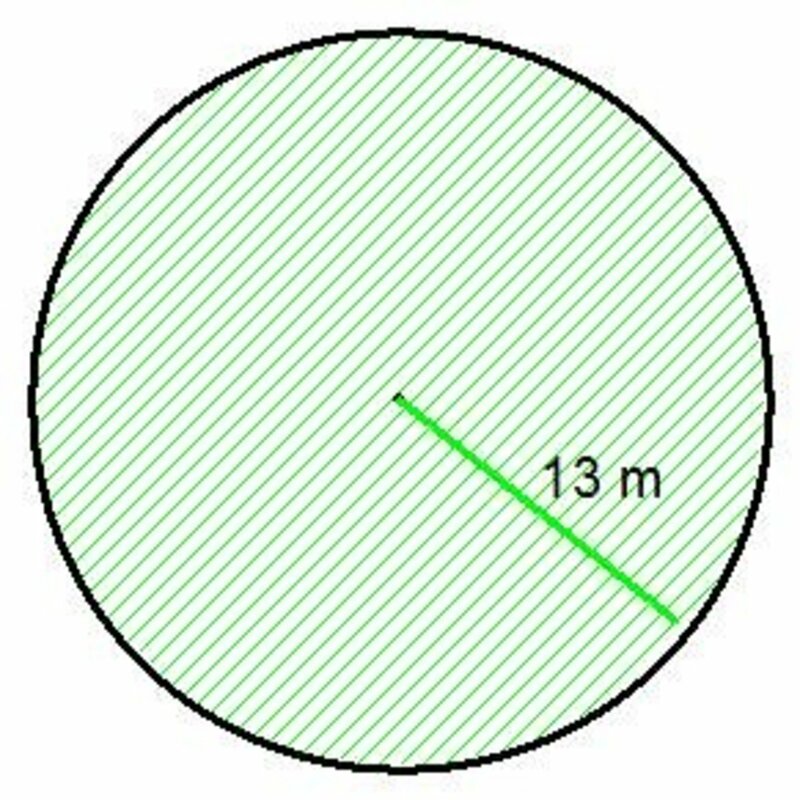 It appeared that the sensors/computer already picked up activity in the specific part that was expected to solve that specific question, but the person was not yet aware of the fact that he/she already solved the question. The research suggested that the unconscious part of the brain already solved it, but that it yet had to boil up to the conscious brain. Fascinating stuff. Not sure whether my comment is completely on topic though. Thanks for the great article. Hi, Bill. Thank you very much for the comment. I agree - the brain is definitely amazing. It's a very interesting organ to study. Fascinating Linda. As always, thank you for the education. The brain is an amazing organ. As much as we know about it there seems to be much that we have yet to learn. Thank you for explaining things in simple, easy to understand language, which you do exceedingly well. Thank you very much, Mel. I appreciate your comment. I like your description of the brain! Fascinating study about the language centers of the brain. The brain is more vast of an unexplored area than the cosmos, I think. Fantastic research! Thank you for the visit and the comment, Flourish. I find it very interesting that scientists are still learning more about the brain, too. It's an awesome organ! 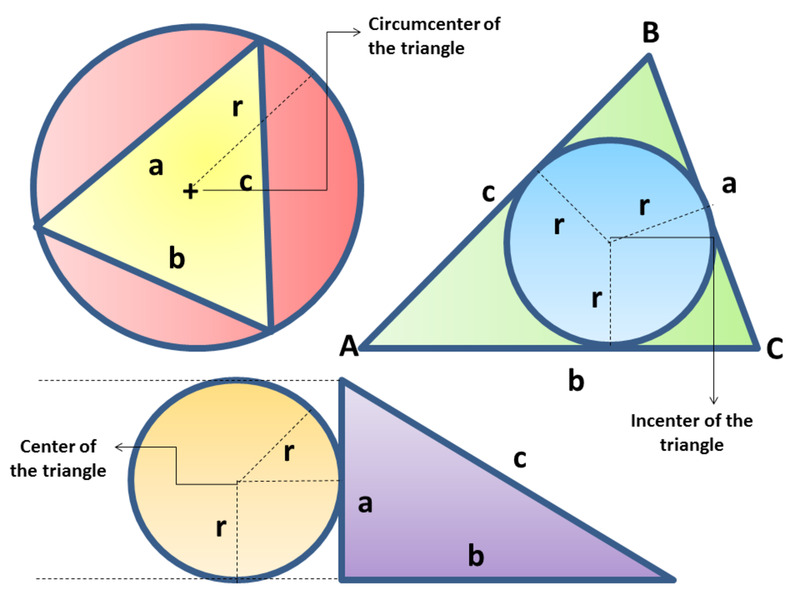 I recall learning about the first two in college but not the Circles of Willis. Thanks for giving some of the biographical information behind the doctors. Well written and interesting. I find it fascinating that they are still discovering many specify parts of the brain and what they do.